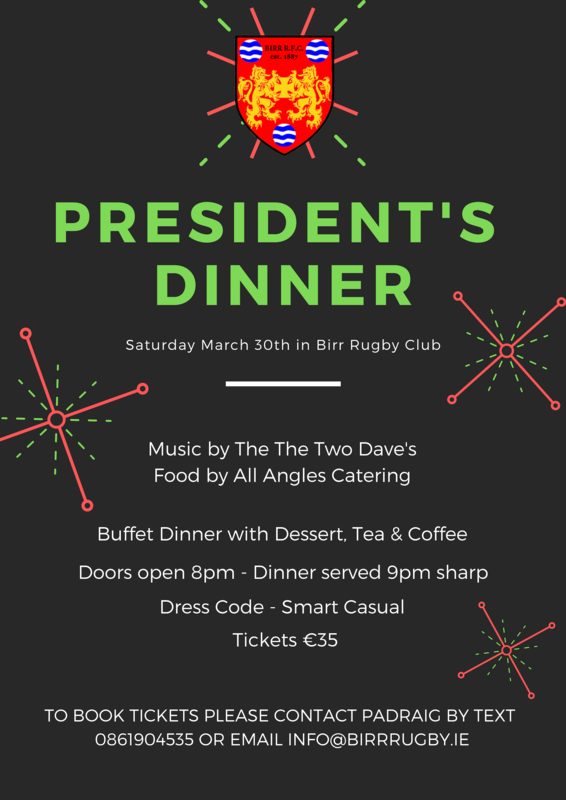 All club members, partners and friends are invited to attend the Birr RC's Presidents Dinner on Saturday 30th March from 8pm. Buffet dinner with dessert, tea and coffee. Doors open 8pm - dinner served 9pm sharp. 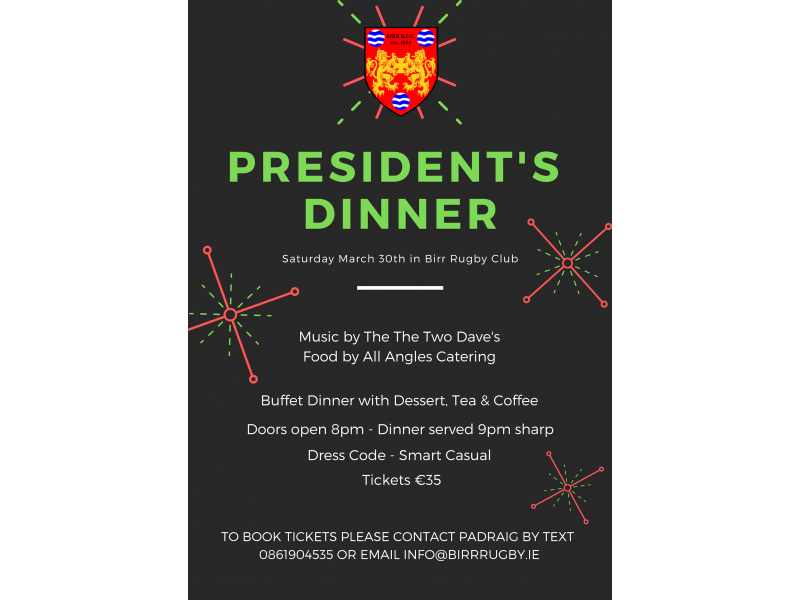 Anyone wishing to book tickets please contact Padraig on 086 1904535 or email info@birrrugby.ie. We will be arranging dates/times in the next few weeks for people to collect and pay for there tickets.